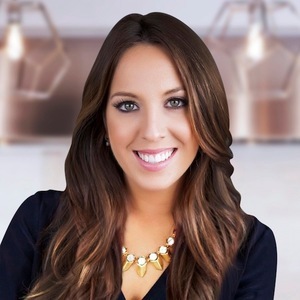 Danielle has contributed her expertise in the Boston real estate market to Boston Magazine and Scene Magazine. She has been featured in Boston Magazine's Neighborhood Guide: So You want to Live in the North End, Boston Magazine's 15 Prettiest Homes to Hit the Market in 2018, and Boston Magazine's On the Market: The Coolest Condo on the Waterfront. With ten years of experience in real estate and as a transactional real estate attorney, Danielle truly understands the art of listening and the value of discretion throughout all stages of the buying and selling process. Striving to represent the human side of each transaction in an ever-changing market, she extends the highest level of counsel and innovative thinking in order to protect her clients’ best interest. Born and raised in Boston, Danielle takes pride in her comprehensive market knowledge and the procurement of off-market opportunities. Having sold, purchased, and renovated her own residence and investment properties, Danielle is conscientious that buying and selling decisions have enormous financial ramifications. Known for being honest and perseverant, she has forged lasting friendships with clients and built a business largely on personal referrals. Her commitment to integrity and love of the business uniquely qualify her to represent clients in the sale, purchase or rental of real estate in Boston. When she is not researching deals for her clients, Danielle is a spokeswoman for Shriners Hospital for Children's world-renowned burn care center, an avid writer, and world traveler. She is a member of the North End/Waterfront Neighborhood Zoning & Licensing Council and leverages her legal skills to assist with real estate-focused pro bono work. She remains actively involved in her community to stay attuned to the desires of residents and preserve the charm of the neighborhood. Her keen eye for design and aesthetics, as well as her personal investment in development and renovation, are added bonuses for clients when scouting development opportunities, walking into a condo with potential, or staging a home.